It may seem impossible to wrap a gift as neat as the department stores do, but with a few Gift Wrapping For Beginners tips, you can be a pro before you know it! After you master these tricks of the trade, you might even find yourself enjoying this monumental task. So, turn on some Christmas carols and let’s get wrapping! Follow and practice these guided steps so you won’t need gift wrapping for beginners tips in the future! 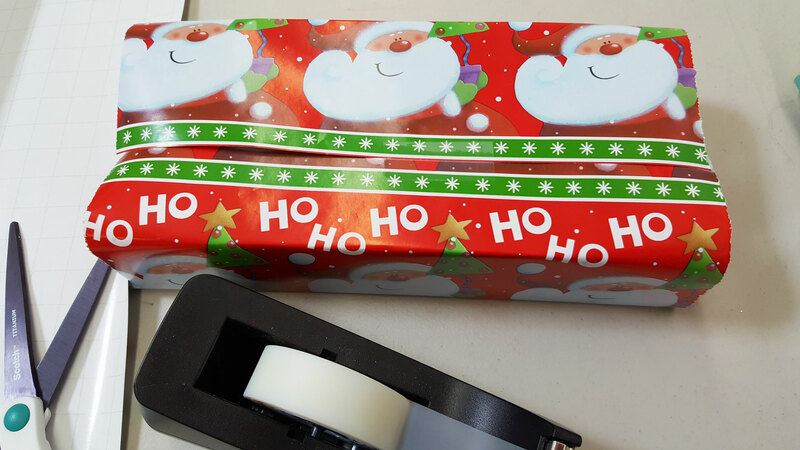 Cut the wrapping paper a couple of inches larger than the gift. 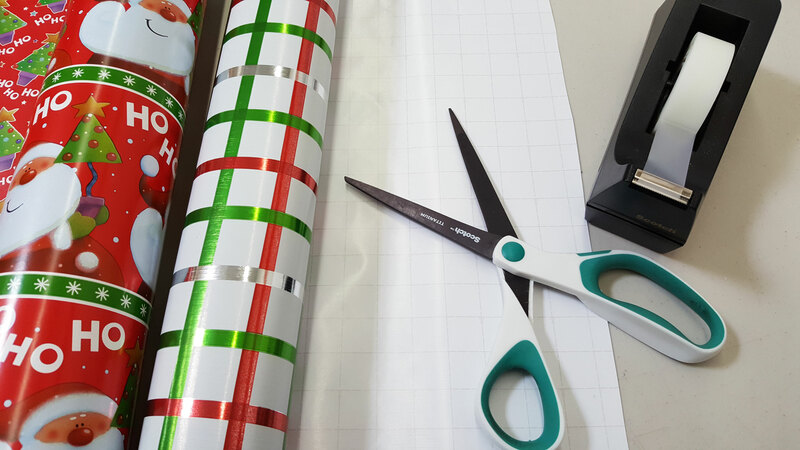 The easiest way to cut straight lines is to buy wrapping paper that has grid lines printed on the inside. If you are not fortunate enough to have picked up one of these rolls, then buy electric scissors or a paper cutter tool from a hardware or craft store. 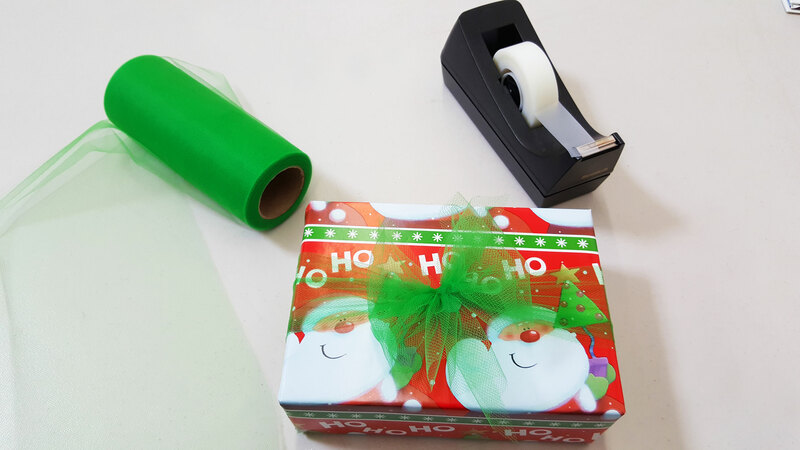 If you use scissors and are using rolls of wrapping paper, unroll the amount needed and then cut along the still rolled wrapping paper keeping the paper taut. It may not give you a perfectly straight edge, but it will be pretty close. 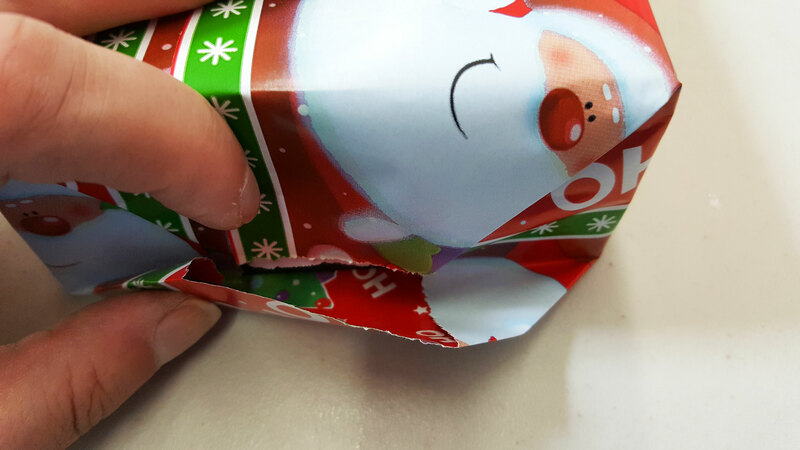 Set the top part of the gift face down on the back side of the wrapping paper, fold the paper to overlap on the back side of the gift, and then tape together. 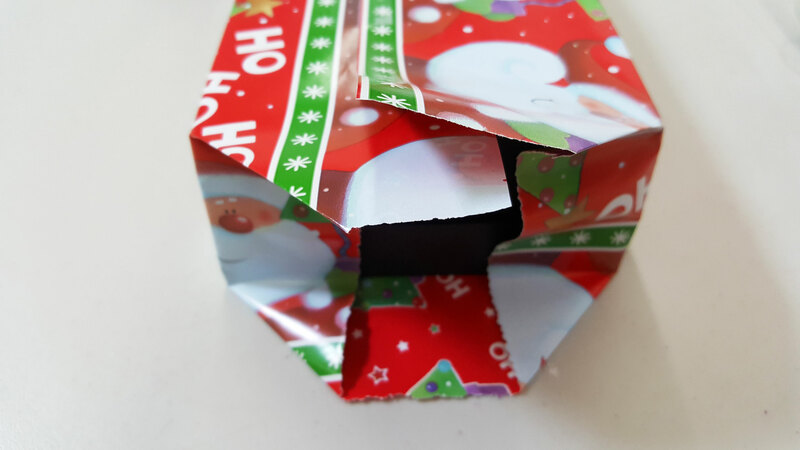 Keep scraps of wrapping paper to fill in gaps if needed. Fold in the ends from the corners to make a tight angle, and then bring up the angle piece and tape to the bottom. Attach a bow to one of the corners. Bows are inexpensive to buy in bags, but you can tie a shoe string type bow if you only have ribbon available. Our favorite “ribbon” to use is holiday colored tulle. It is crush-proof and allows you to stack gifts without ruining the bow. If you want to be green, you can save bows from gifts you received and use those on other gifts. 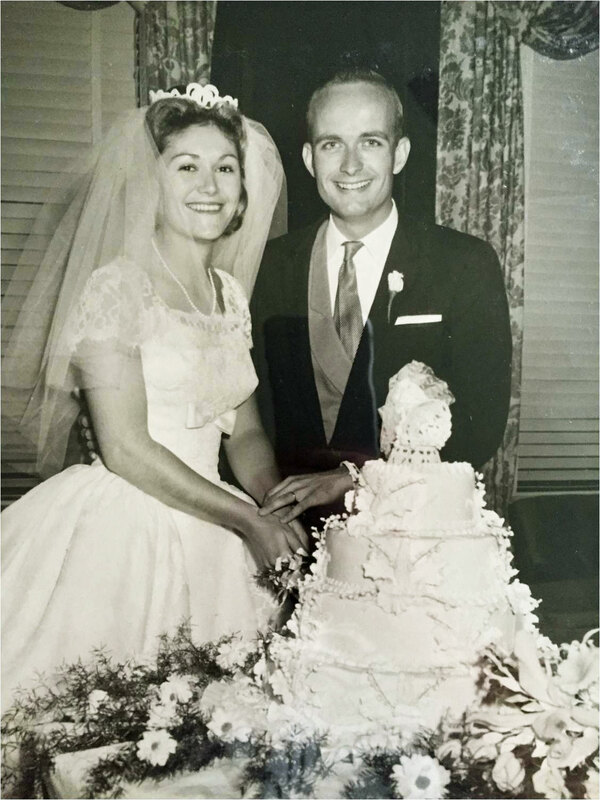 Other gift wrapping ideas include buying decorative bags or boxes and using the newspaper. 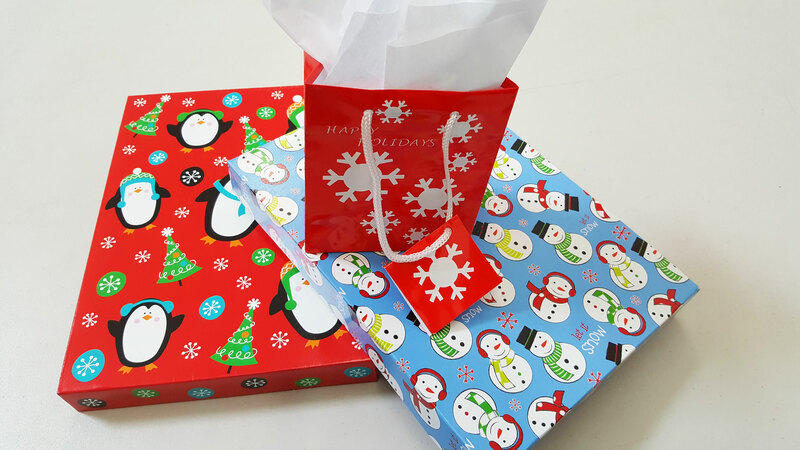 For oversized or odd-shaped gifts that are difficult to wrap with paper, use garbage bags with a ribbon around it. We believe that if you embrace these techniques that gift wrapping for beginners will be a thing of the past. 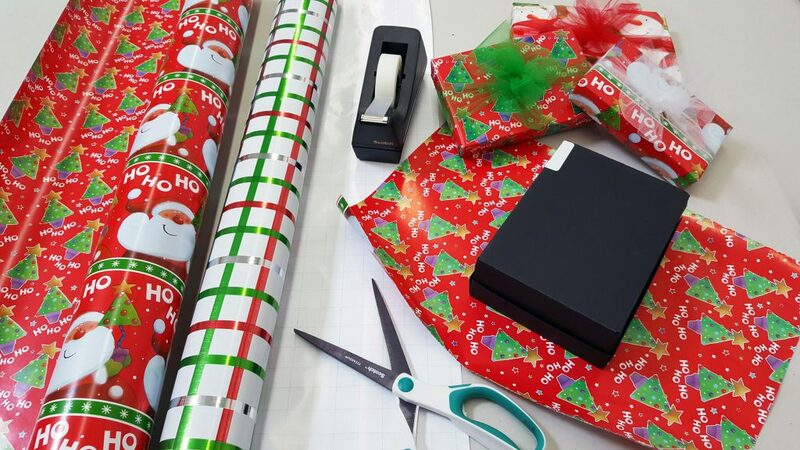 To see more ideas view the article “Easy Christmas Gift Wrapping”. OrnamentShop.com also offers gift wrap on all Personalized Ornaments and Gifts. So, if you don’t have time to master gift wrapping for beginners, we can do it for you! Just add Gift Wrap to your purchase.